This beautiful former model home offers you the rare combination of quality and convenience. 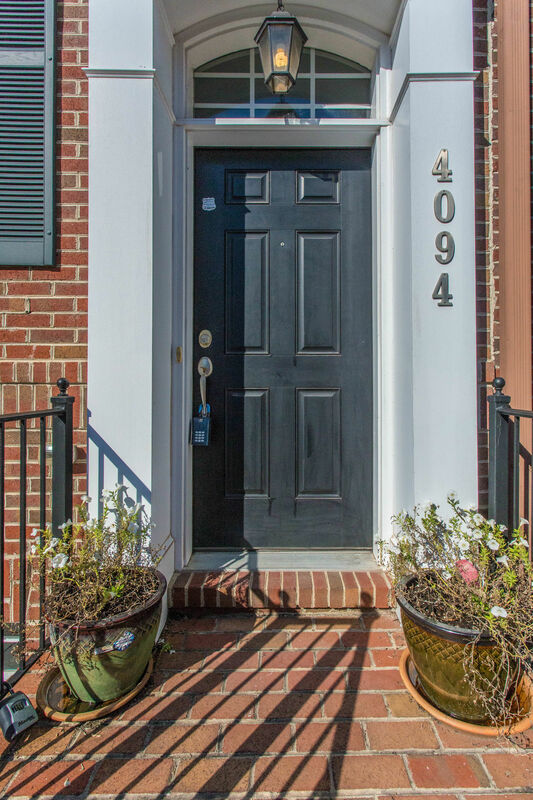 Nearly new with an all-brick exterior, it features upscale touches including sprinkler and security systems, extensive hardwood flooring and tasteful neutral decor. 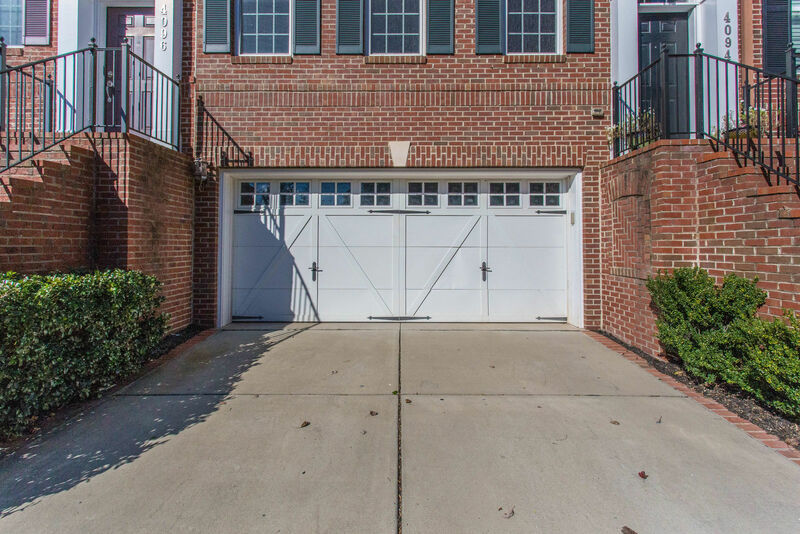 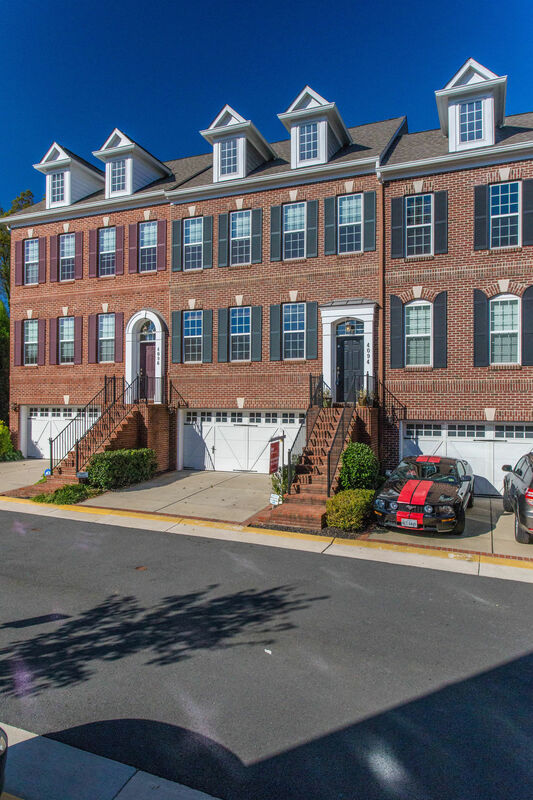 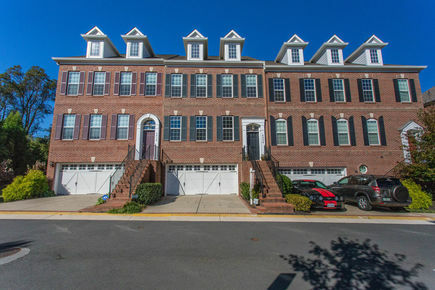 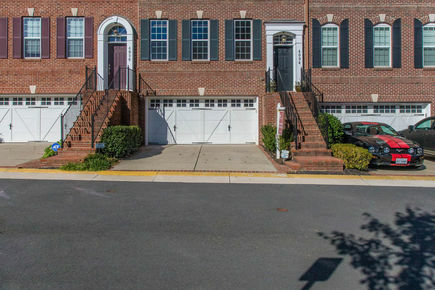 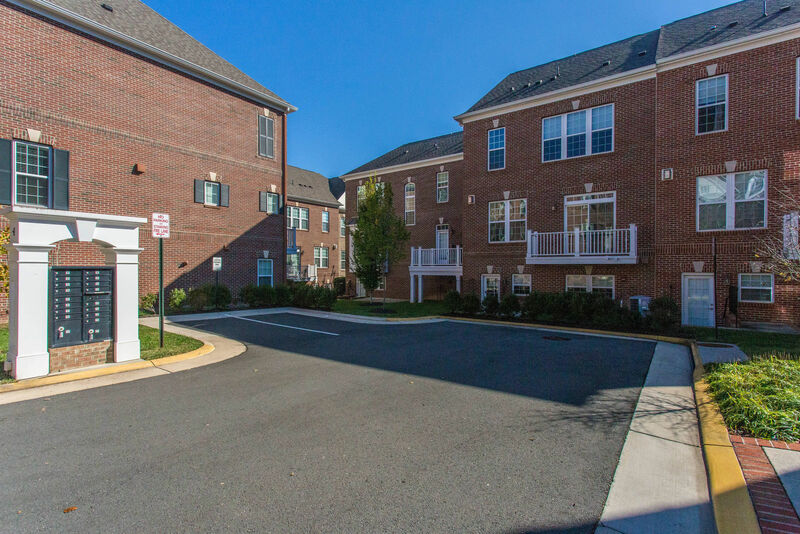 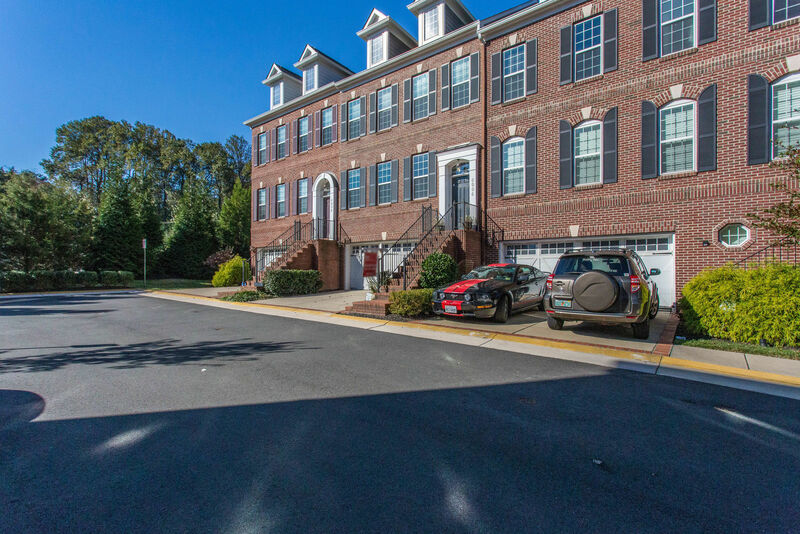 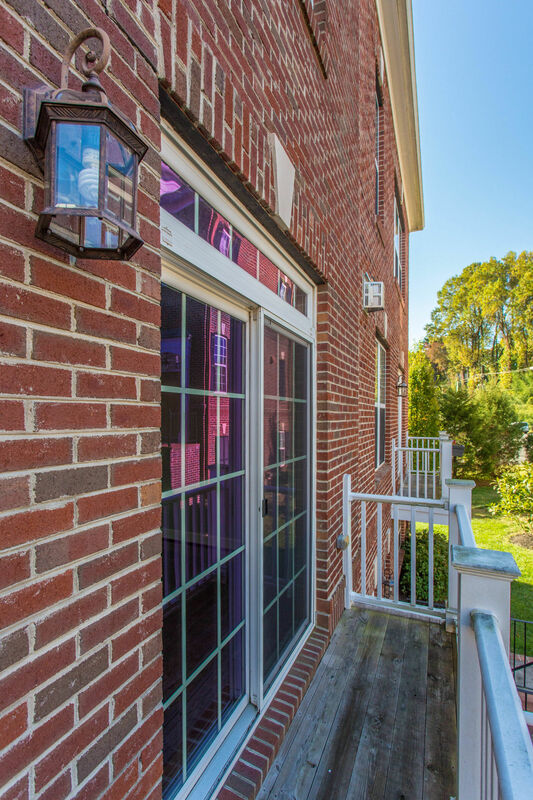 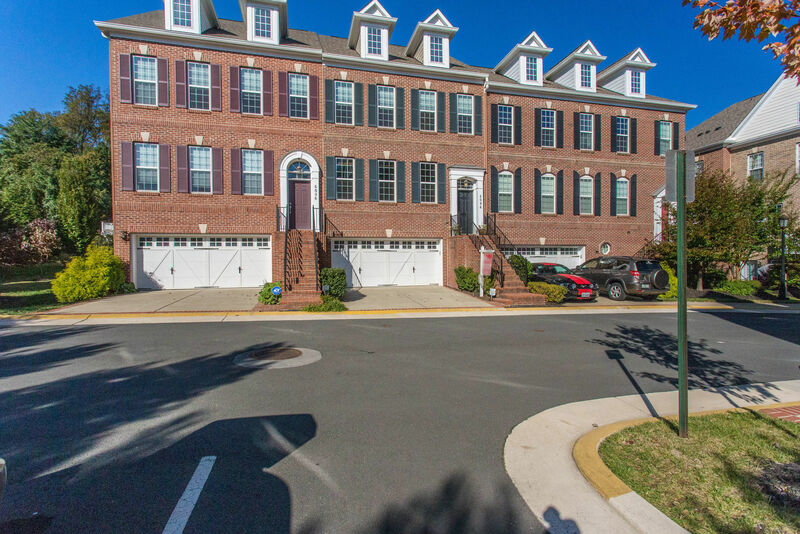 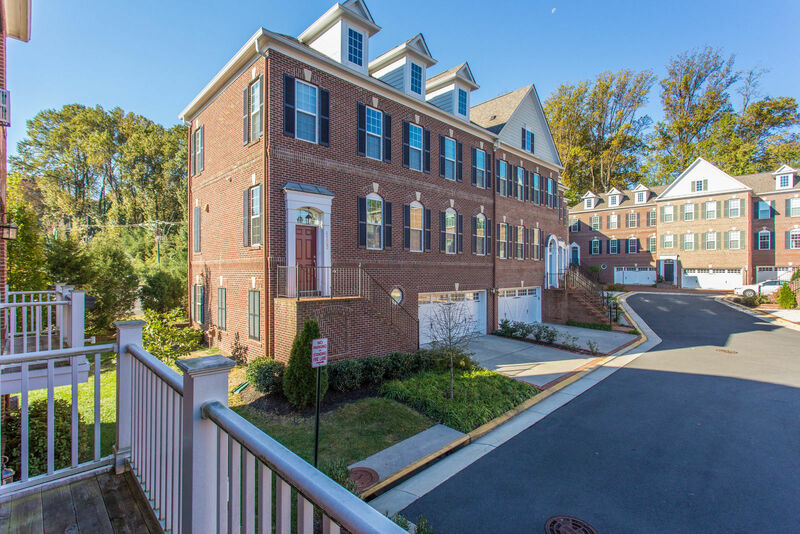 Here you can leave your car in the two car garage and walk to historic downtown Fairfax which has shops, restaurants and numerous outdoor festivals throughout the year. 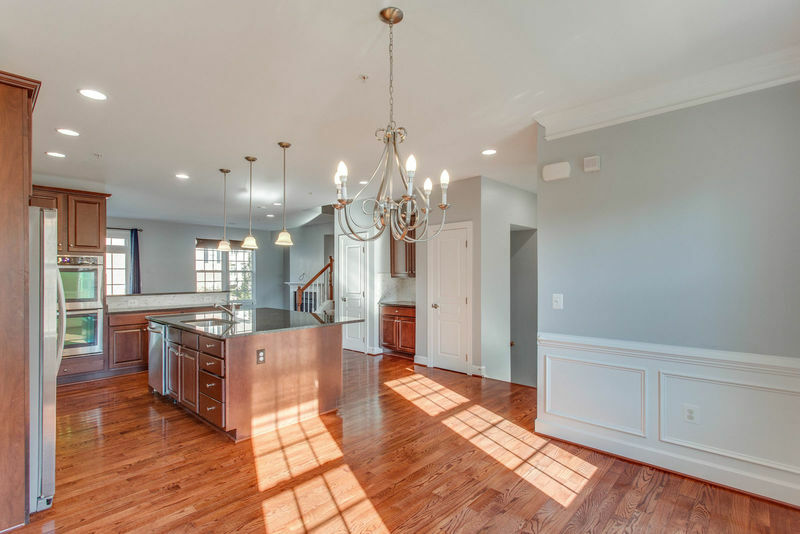 Perfect for entertaining or relaxing, the home’s open concept main level offers spacious rooms and easy flow. 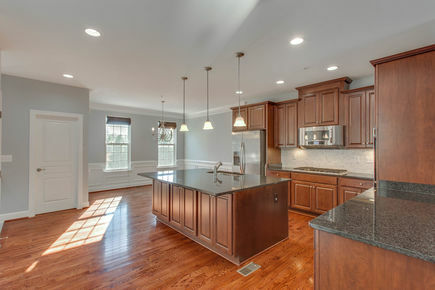 Cooking everyday meals or holiday feasts is a pleasure in the fabulous gourmet kitchen. 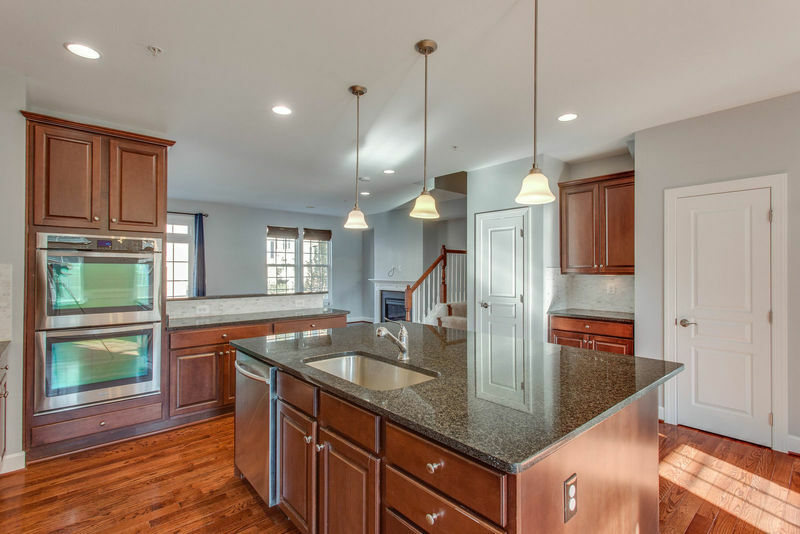 It features upscale stainless steel appliances including a 5-burner gas cooktop, two ovens, refrigerator with an ice and water dispenser plus a deluxe microwave. 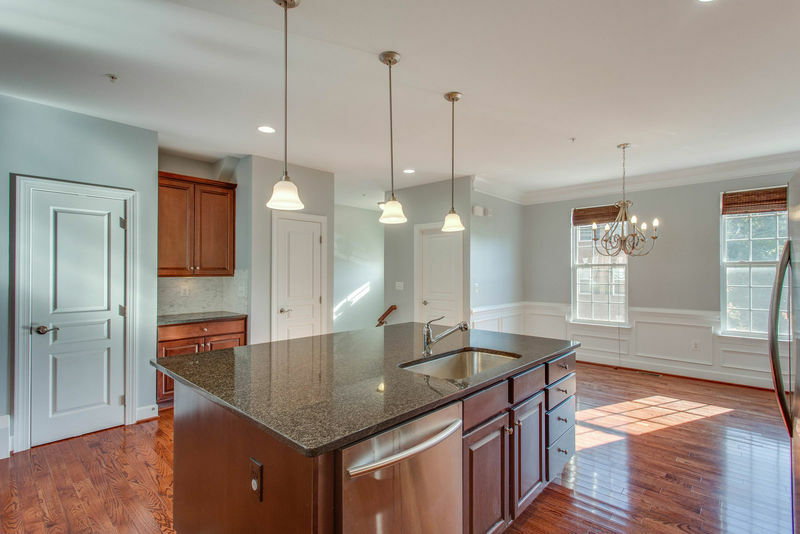 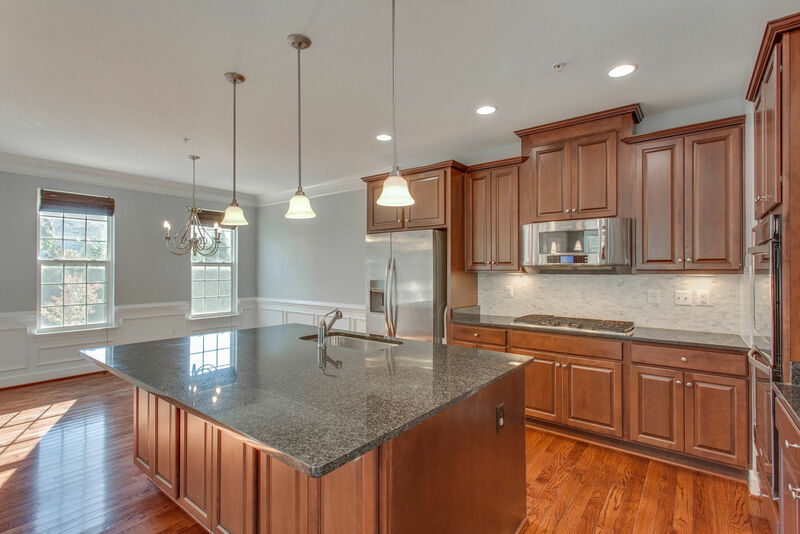 The kitchen has lovely granite counters and elegant custom cabinets including a fully encased refrigerator. There is a large center island with ample bar seating for casual dining or serving. 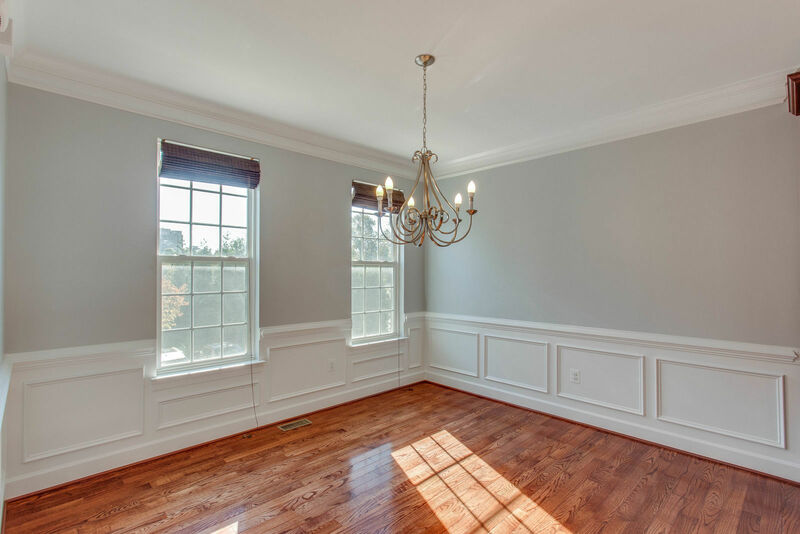 The room is open to an elegant dining room with crown and panel mouldings as well as a spacious living room with gas fireplace. 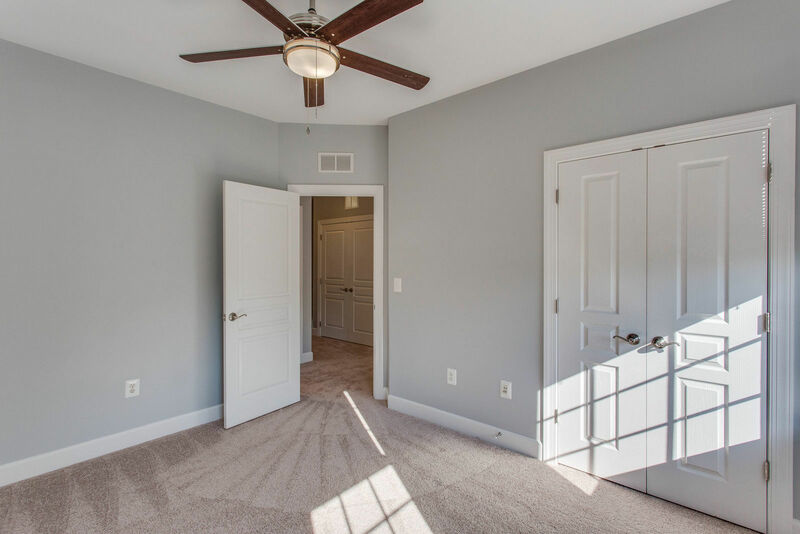 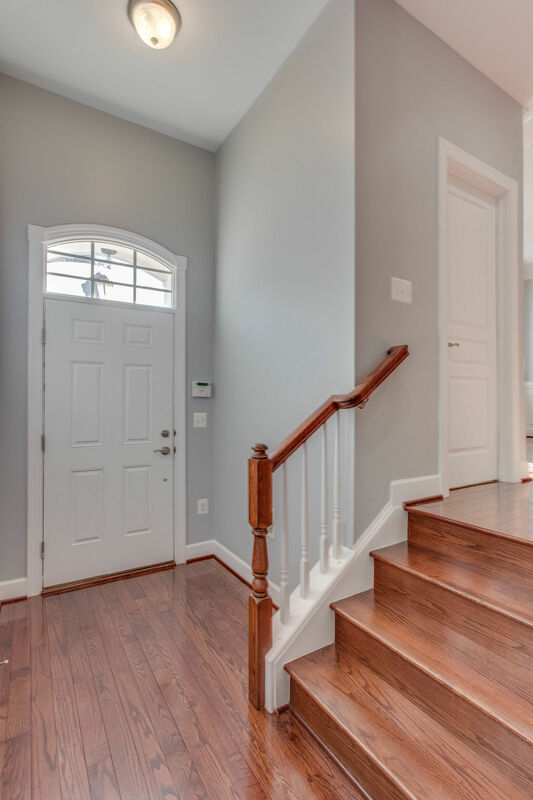 Don’t miss the separate bar, pantry, coat closet or the powder room which are also on the main floor! 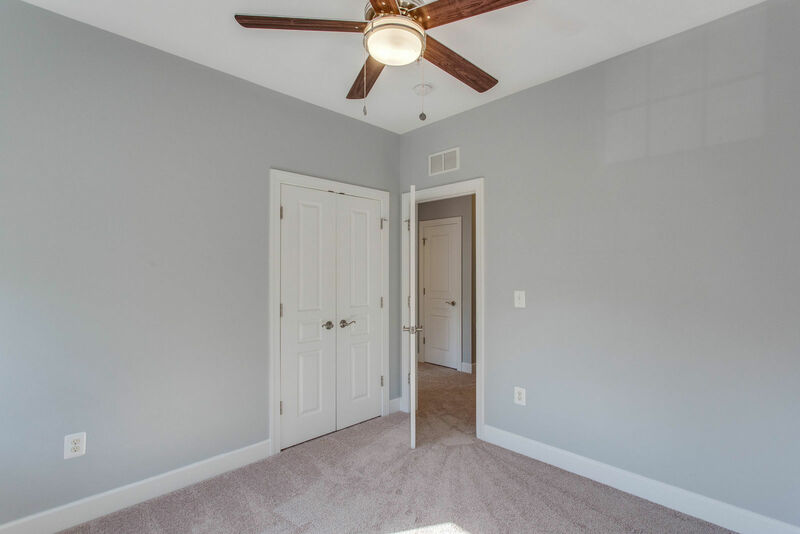 The upper level features brand new carpet and has three large bedrooms, two full baths as well as a laundry area and linen closet. 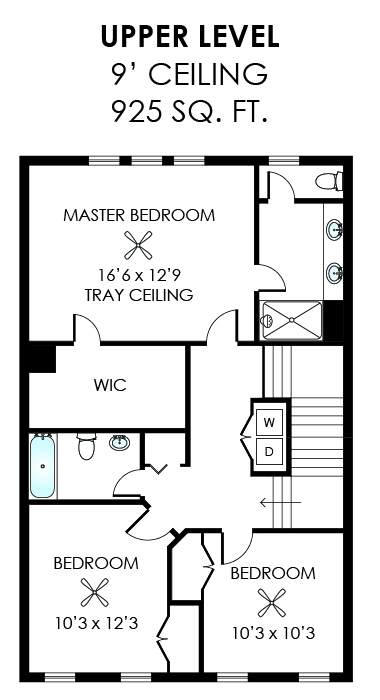 The master suite provides a wonderful private sanctuary that includes a dramatic tray ceiling, huge walk-in closet and a spacious bath. 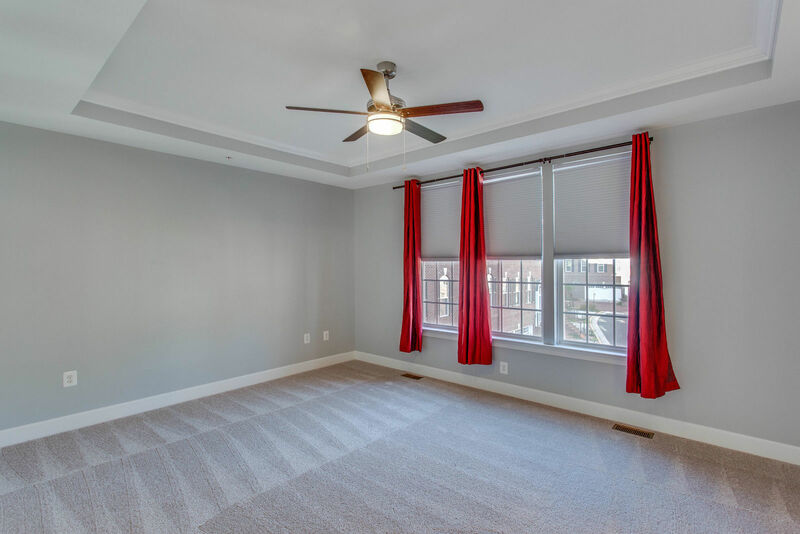 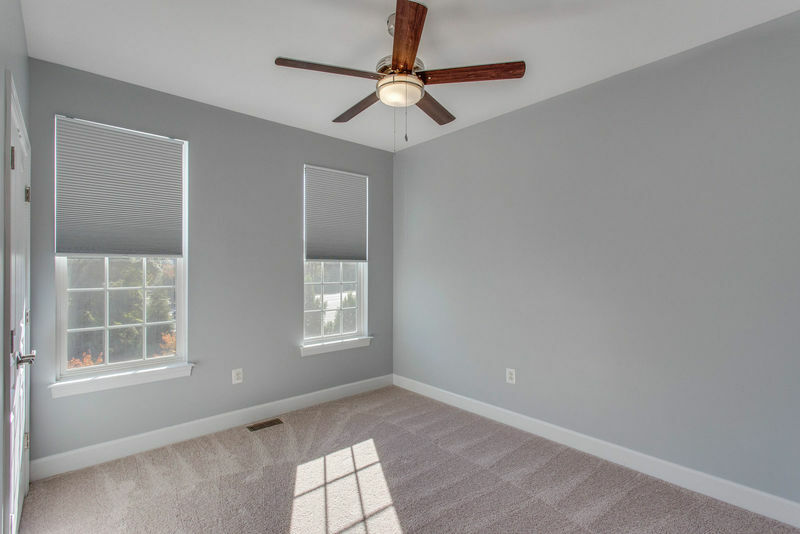 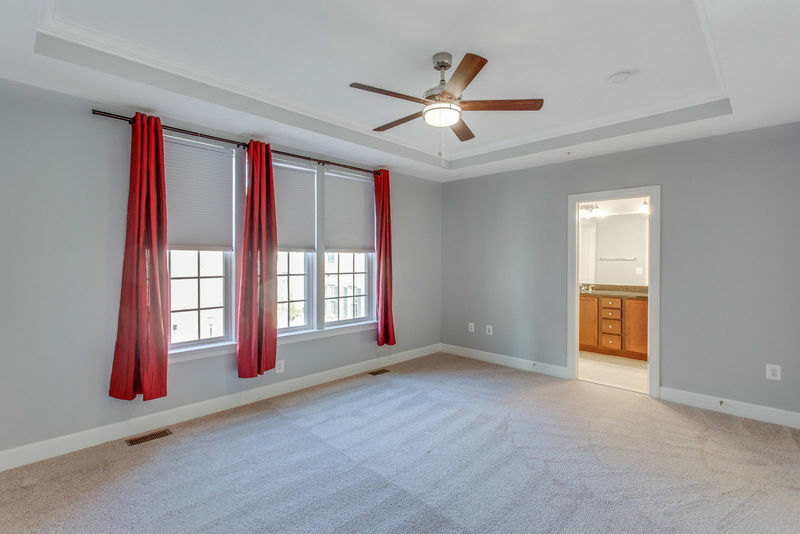 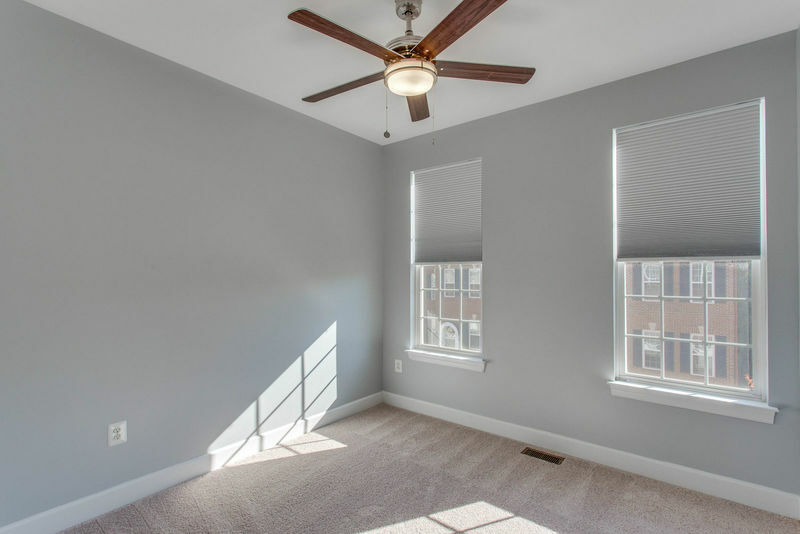 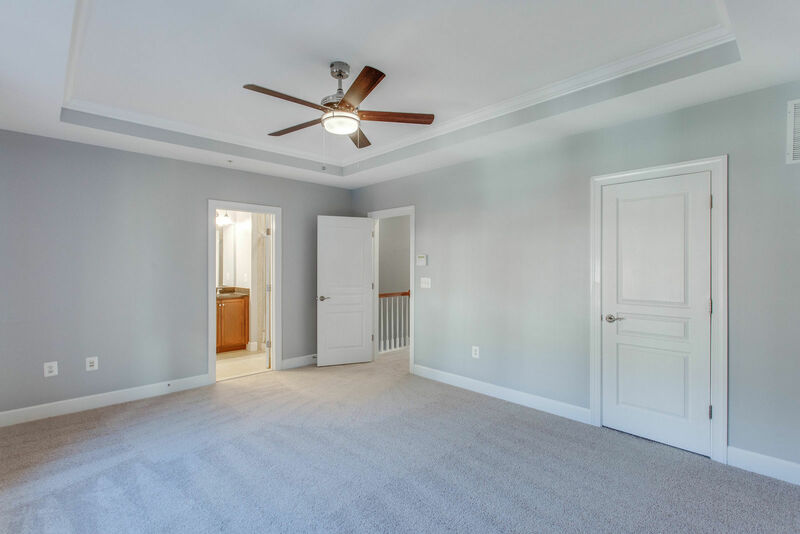 All three bedrooms offer ceiling fans with lights and room-darkening pull-down shades. 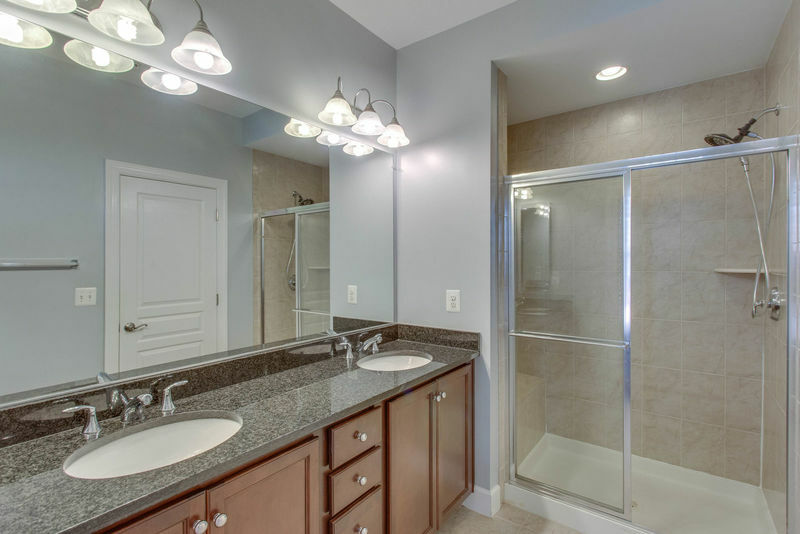 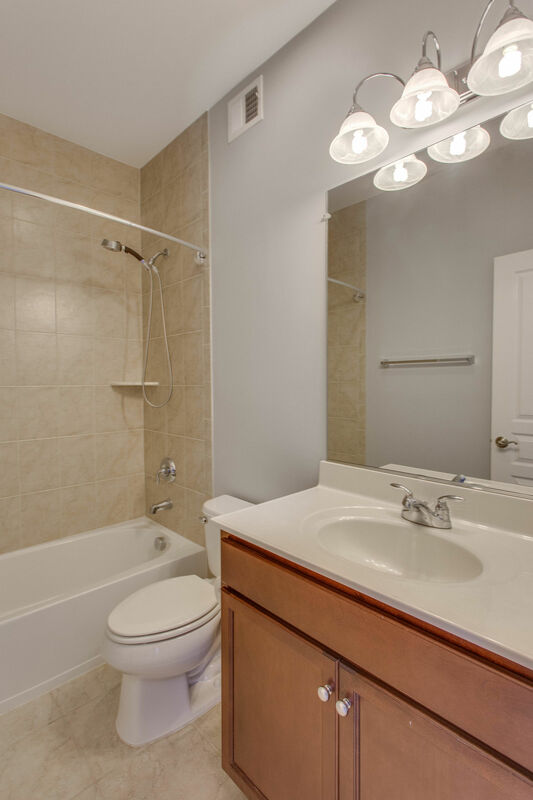 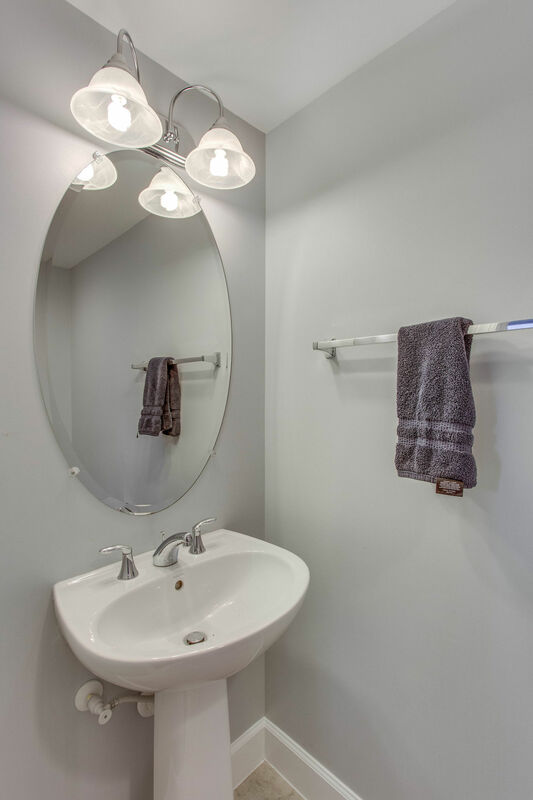 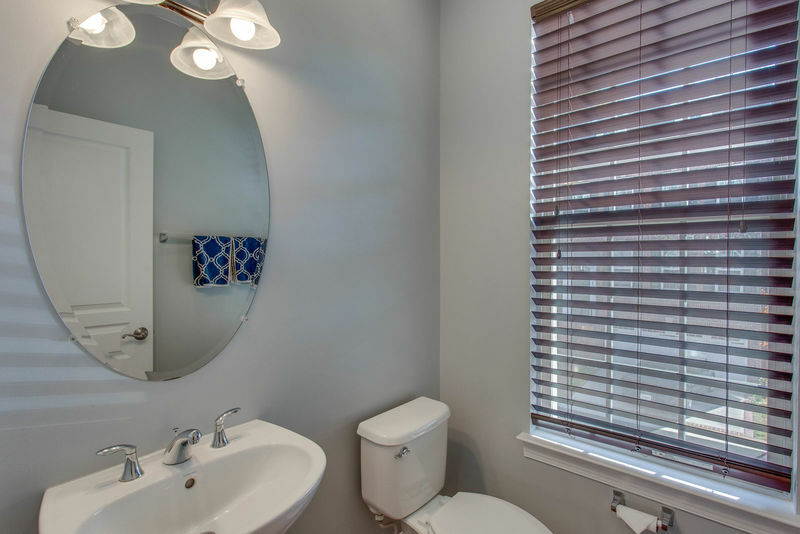 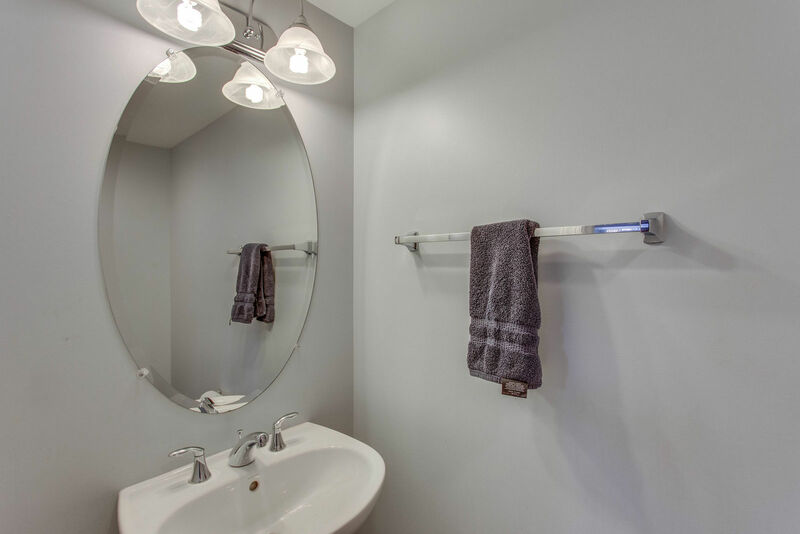 The master bath boasts a large vanity with granite top and two sinks, a shower with a tile surround extending to the ceiling plus a separate privy. 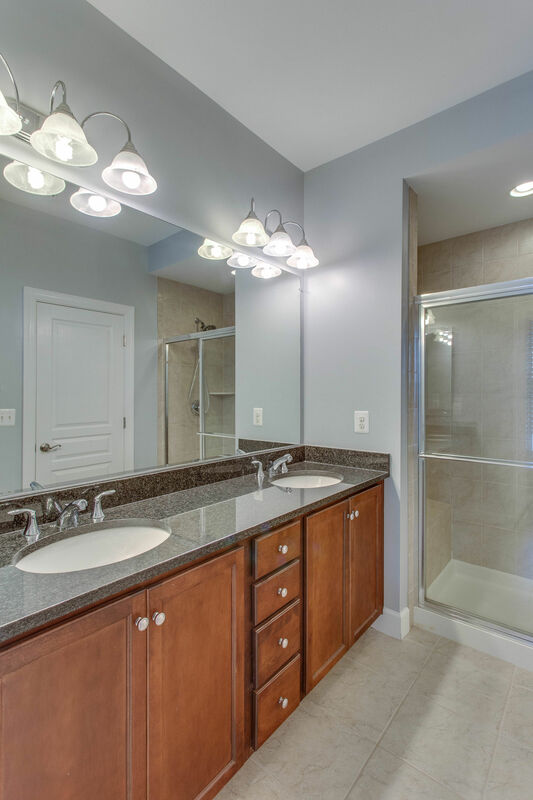 In the hall bath you’ll find an attractive vanity and a tub/shower with a tile surround that also extends to the ceiling. 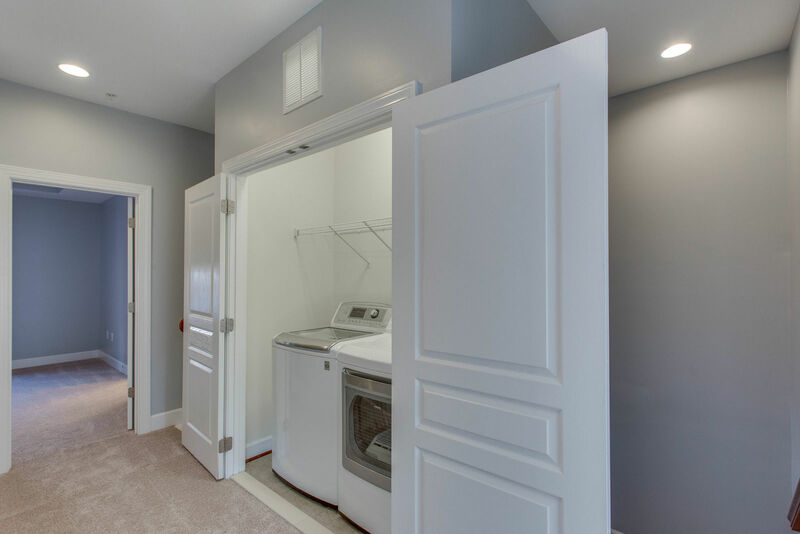 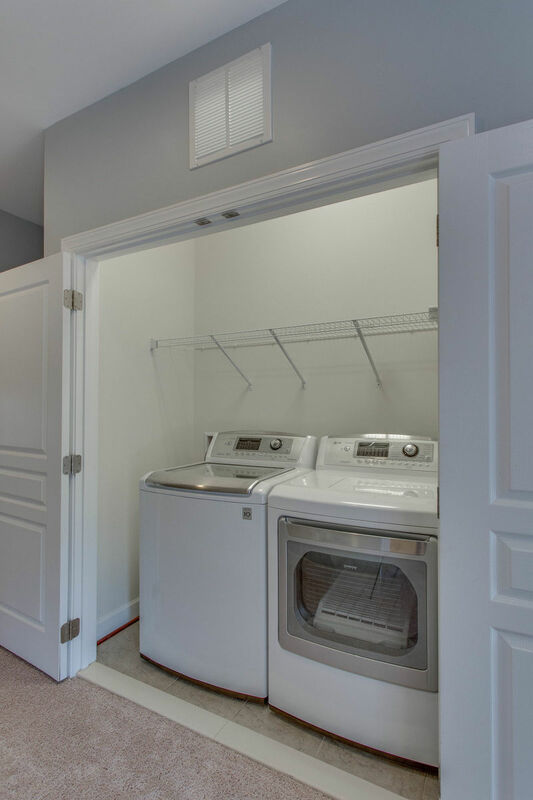 The laundry area is conveniently located in the upstairs hall. 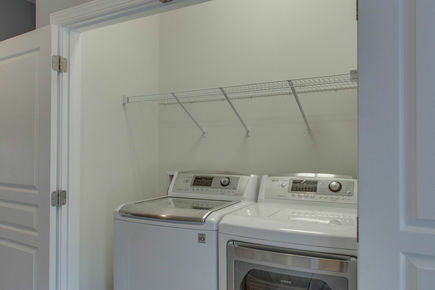 Its upscale LG washer and dryer convey! 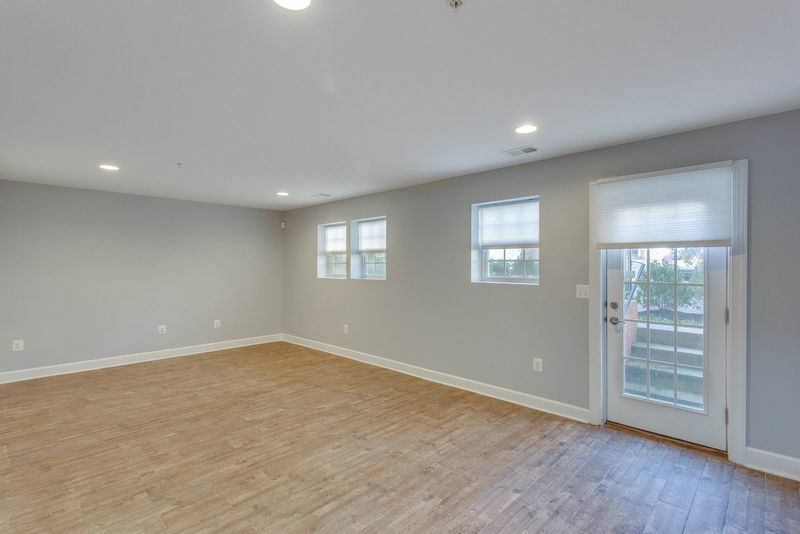 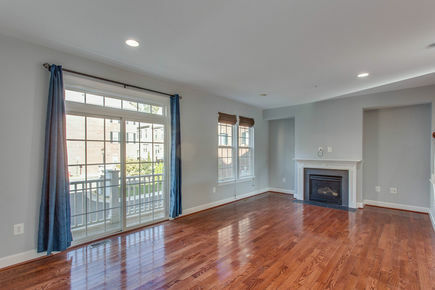 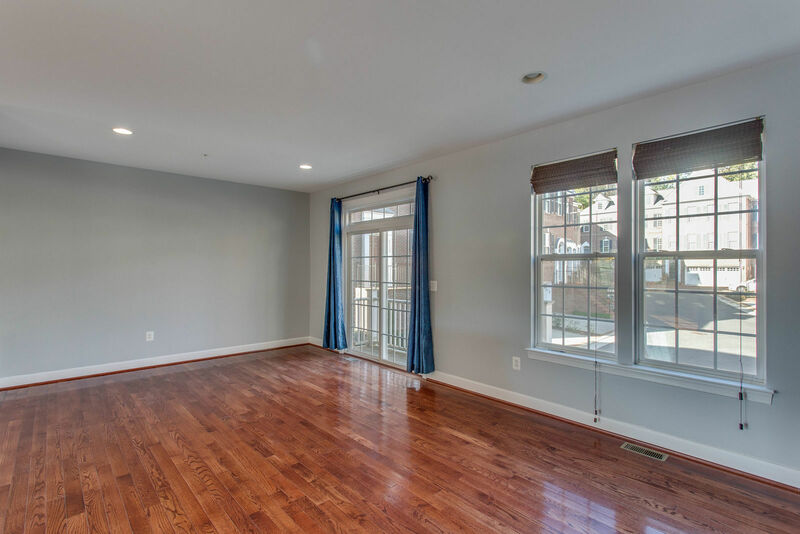 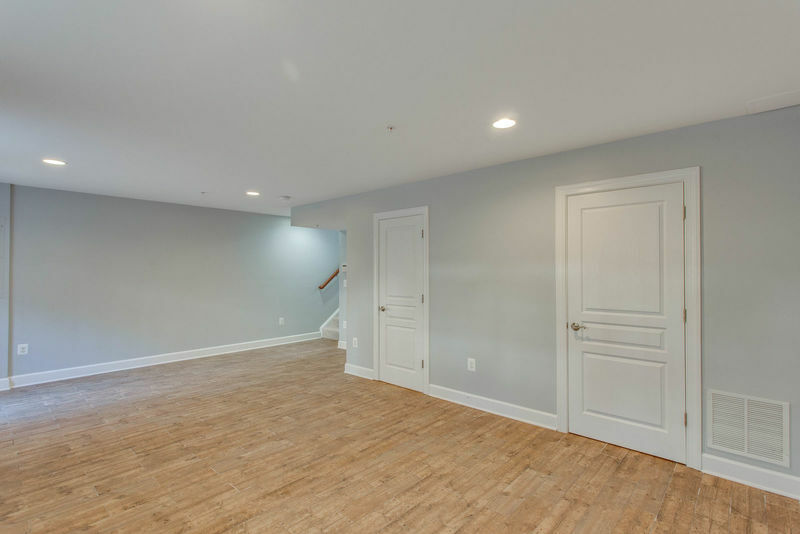 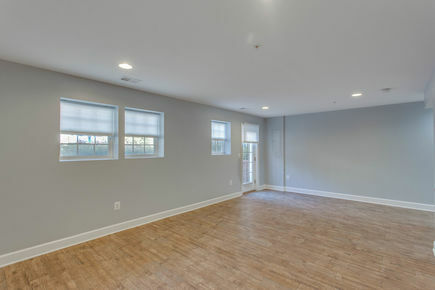 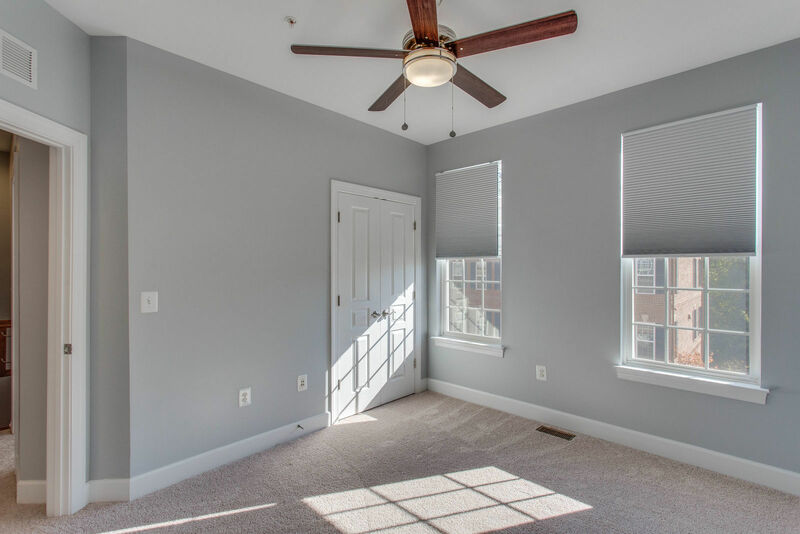 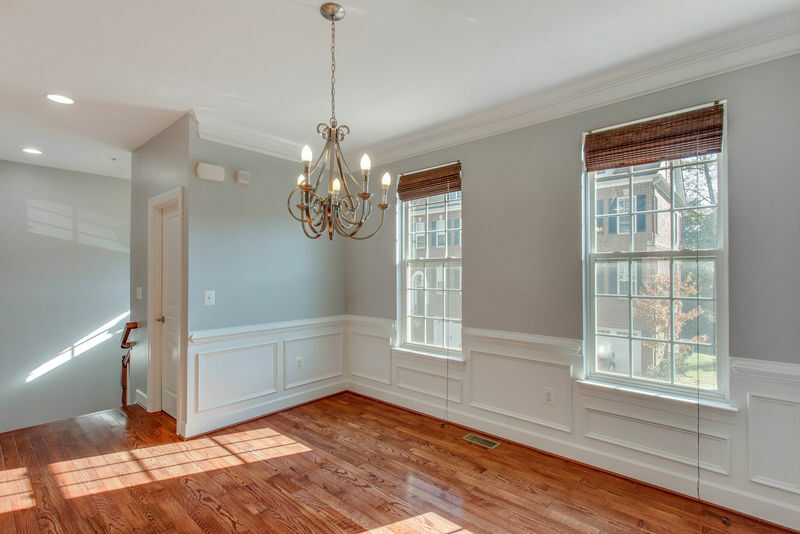 Downstairs, the bright recreation room features fabulous natural light with three windows and a door to the backyard. 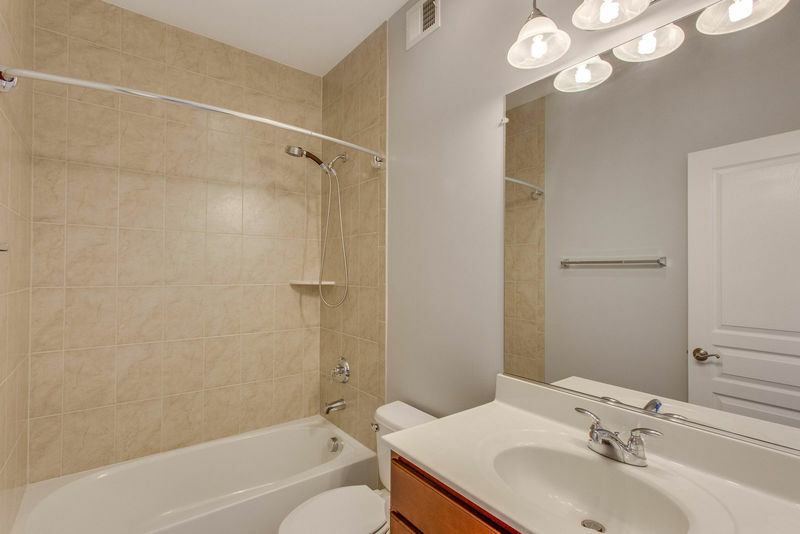 It has tile flooring that looks like wood. 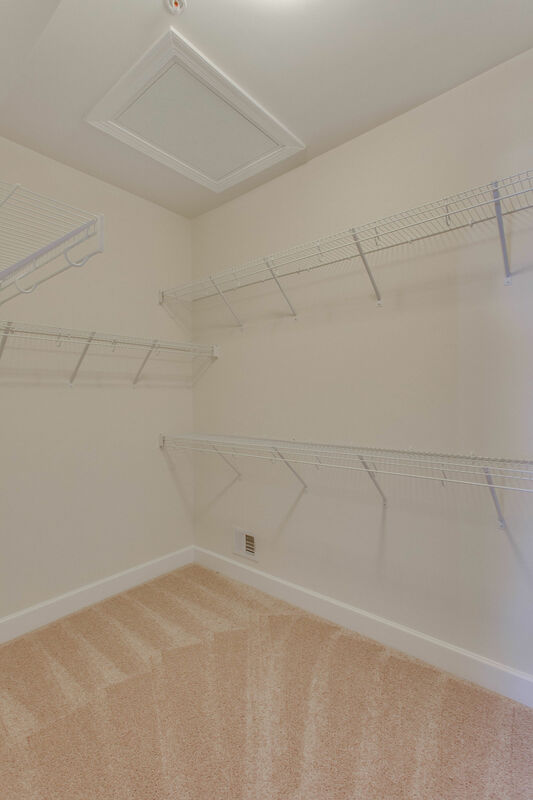 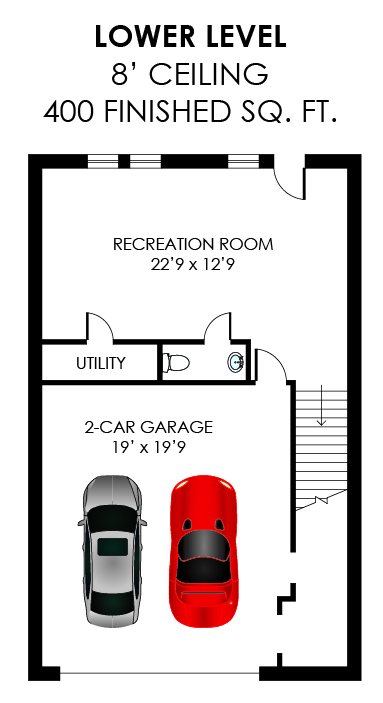 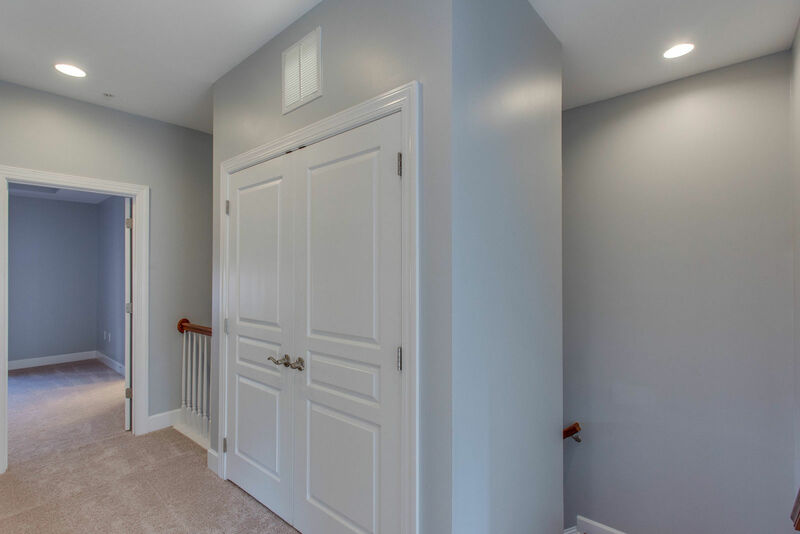 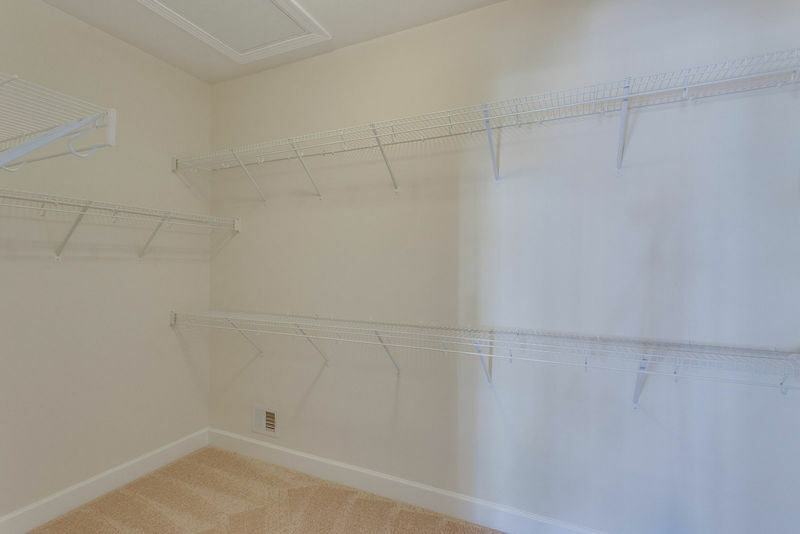 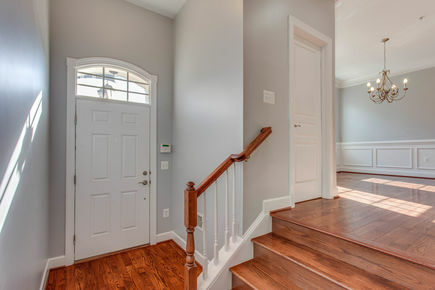 Also on this level is a powder room plus access to the home’s ample two-car garage. 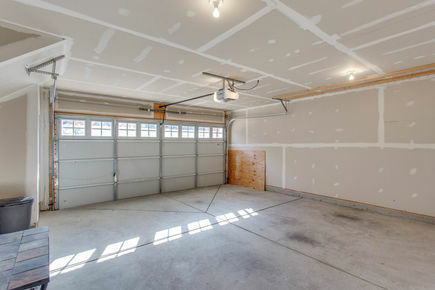 The garage has a large single door with an automatic opener plus separate storage areas including a niche for trash cans. 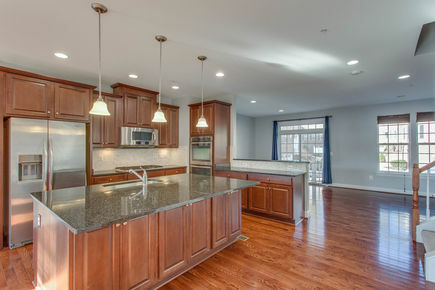 Sited on one of the best lots in Cameron Glen, this home backs to open space (not another home). 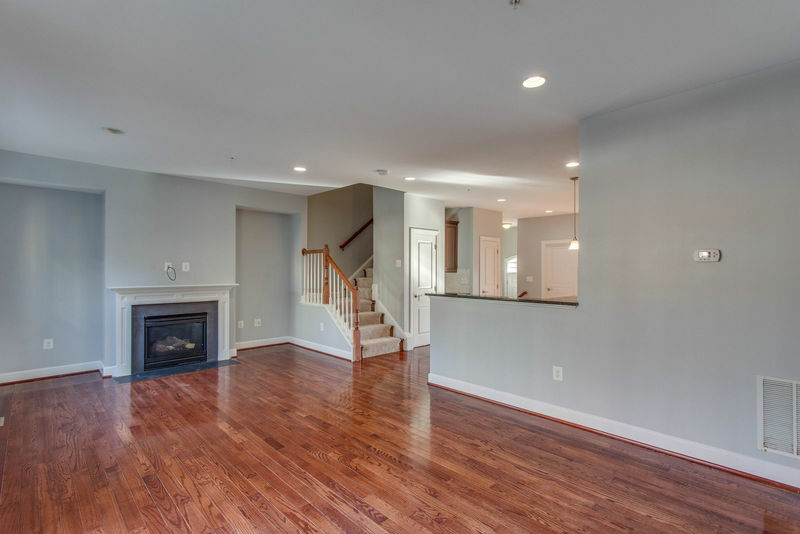 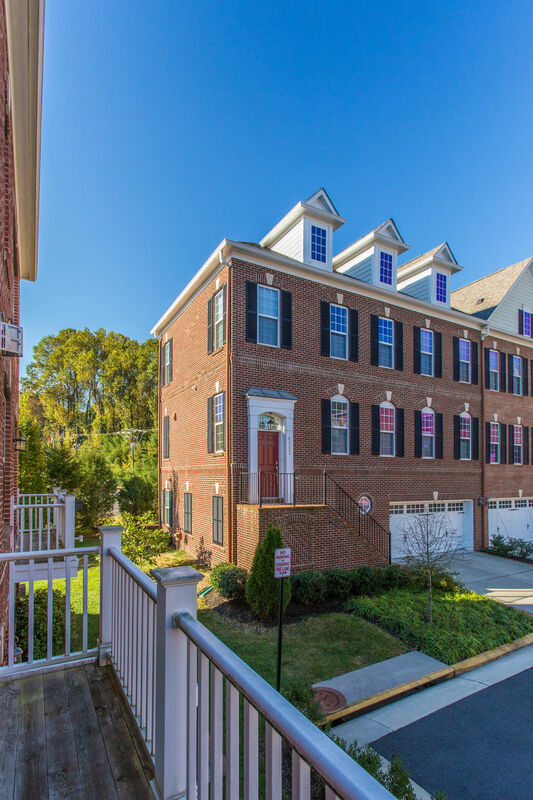 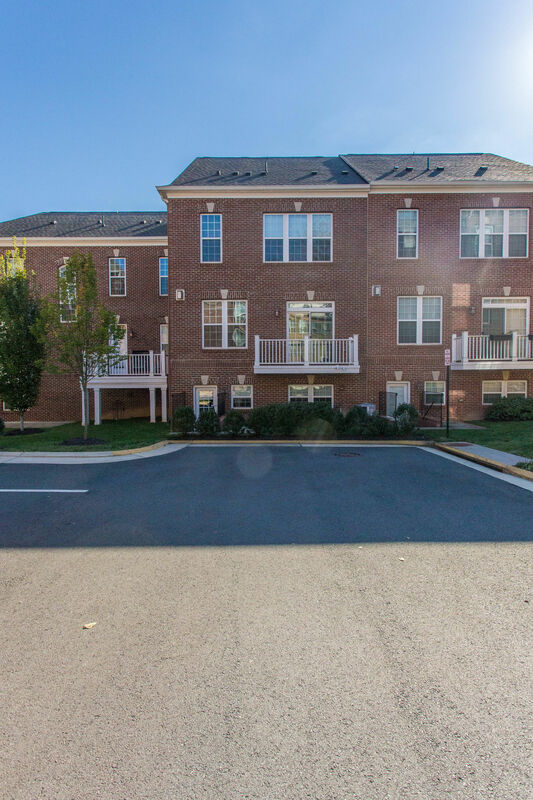 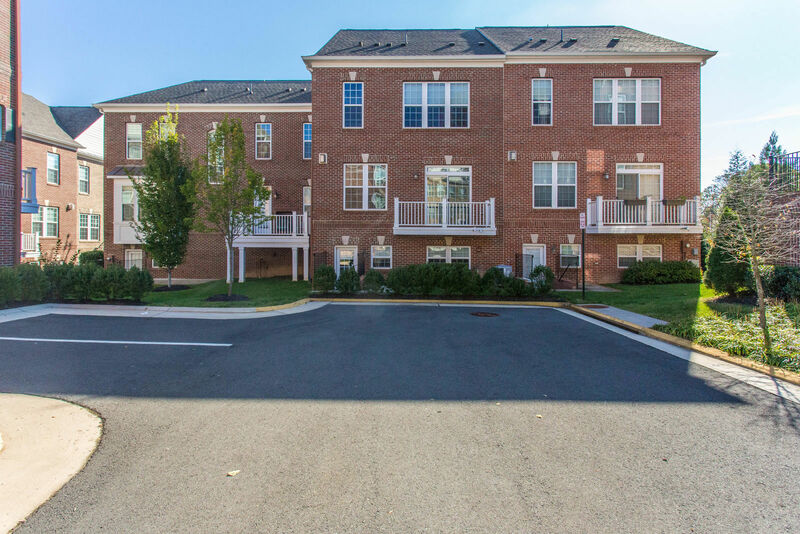 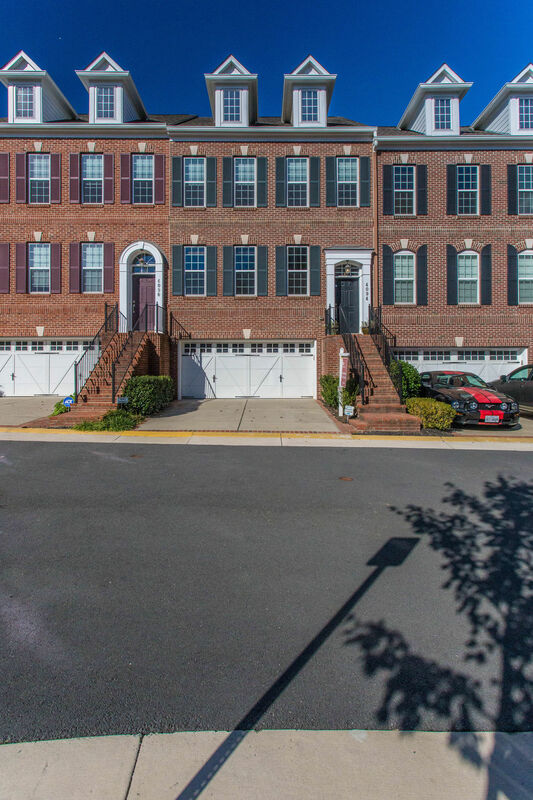 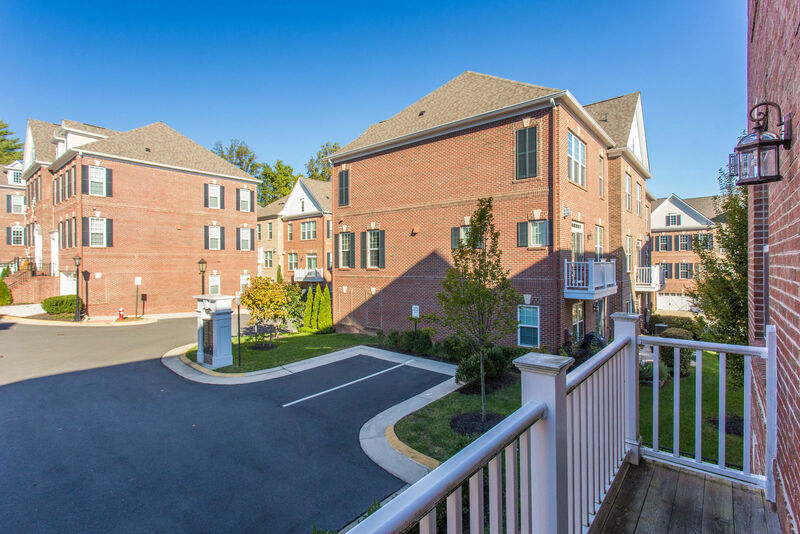 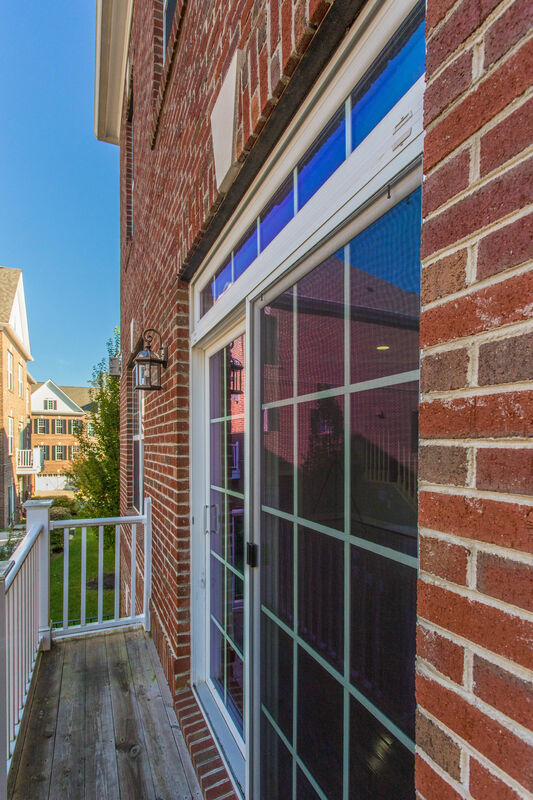 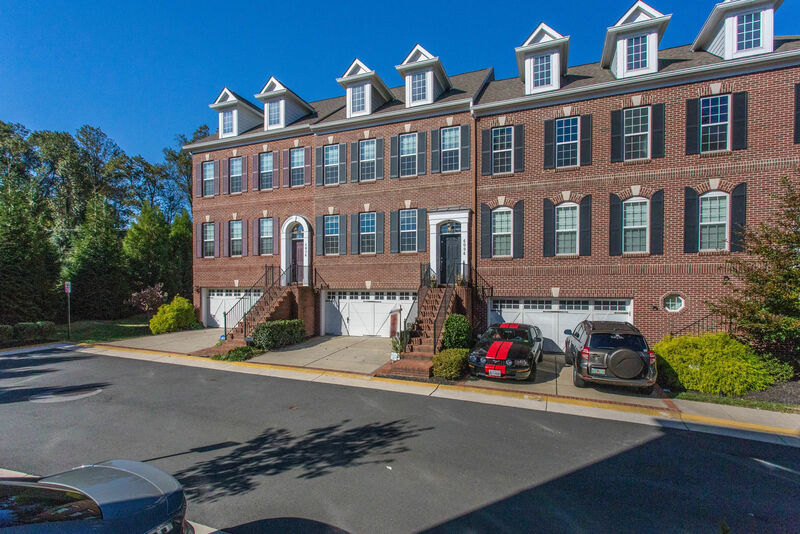 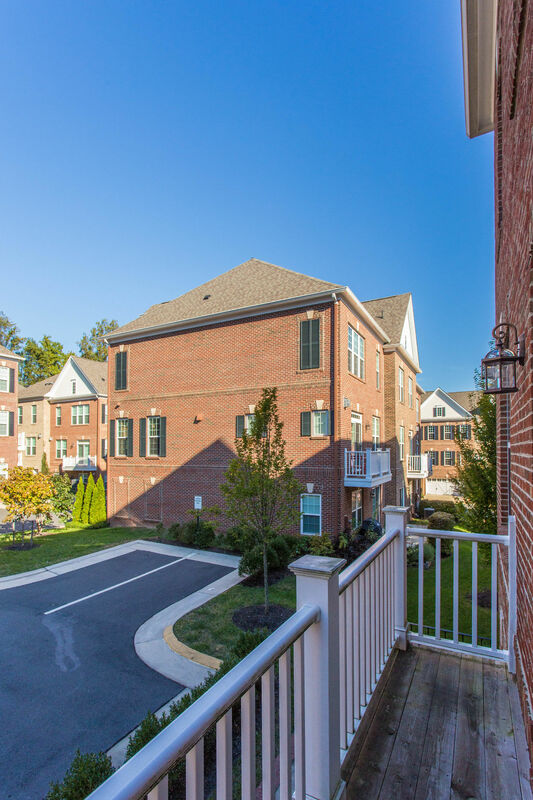 Here you can enjoy a small, friendly community in a quiet enclave of luxury townhouses in easy walking distance to downtown Fairfax City.